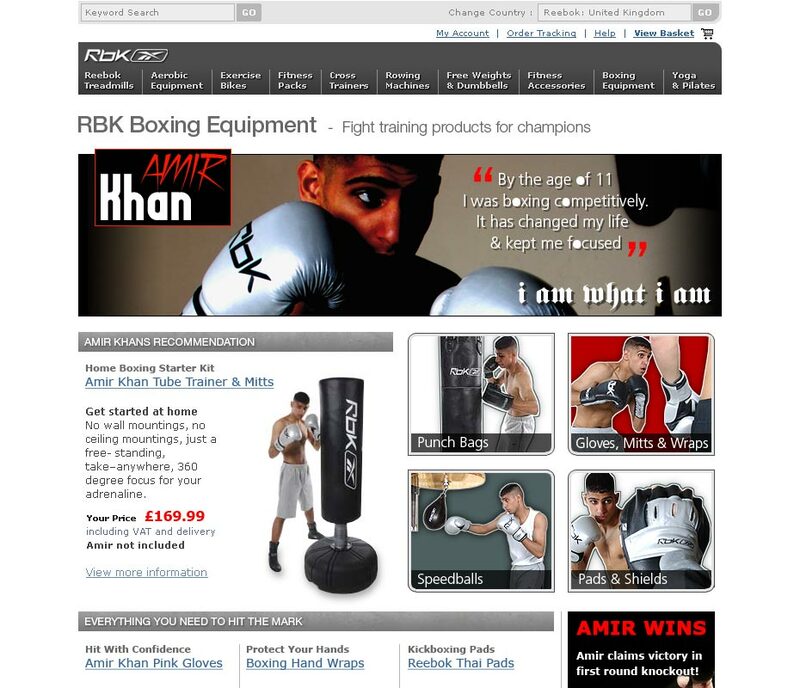 Reebok and RBK Boxing and Fitness Equipment have some of the most inovative products available to use in a gym or at home and sponser among others Amir Khan. 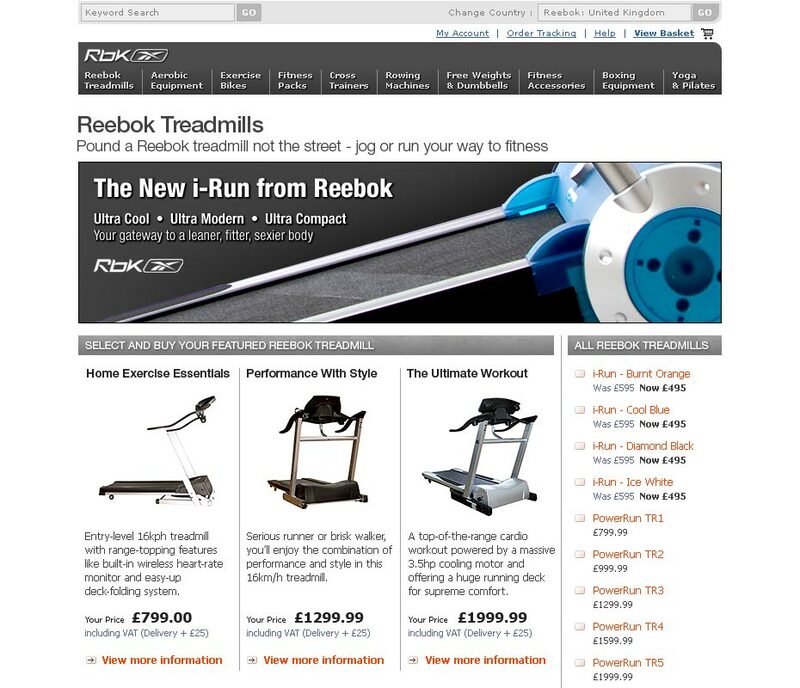 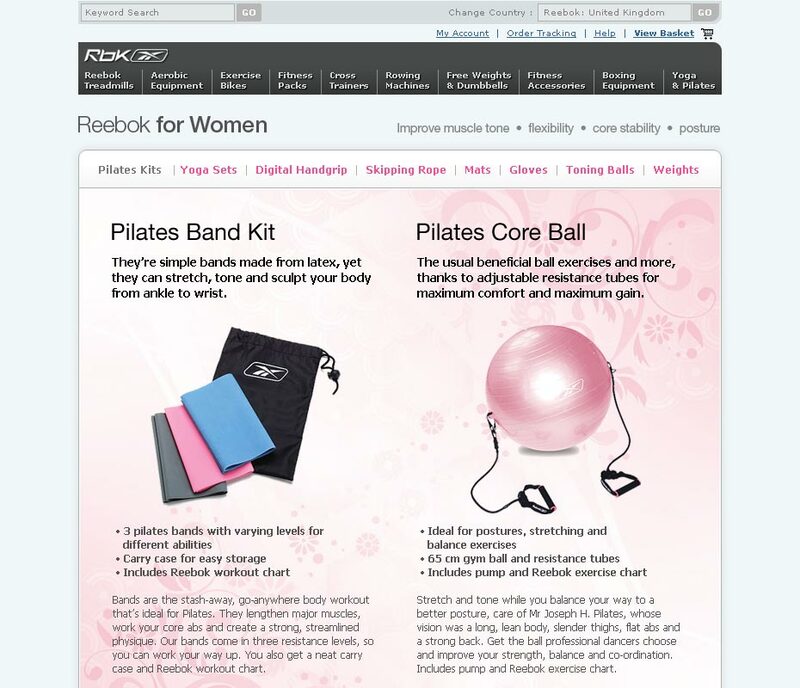 Building upon an existing eCommerce website, a template design was created to highlight, promote and sell a range of Reebok sports equipment. 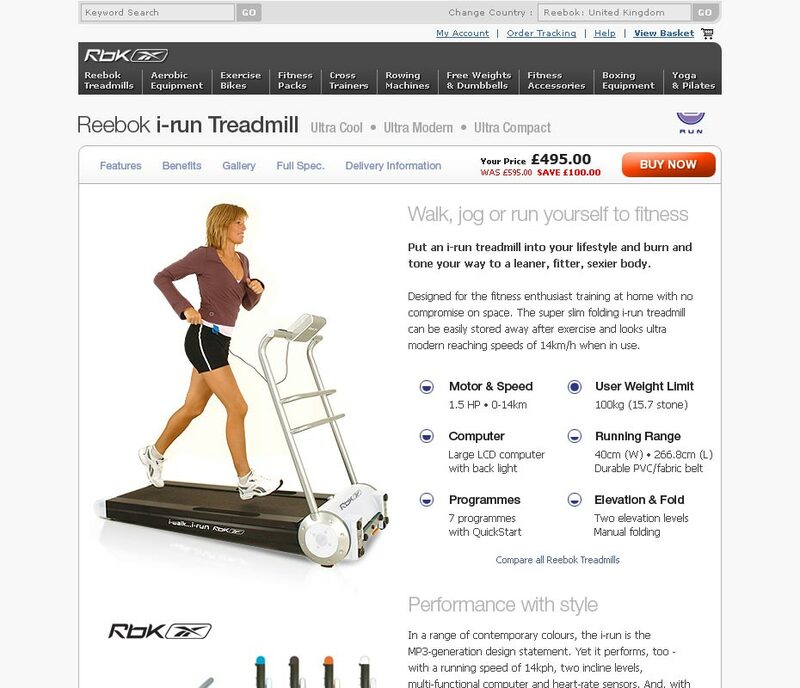 Individual highlights were the Amir Khan boxing range and iSeries RBK treadmill.